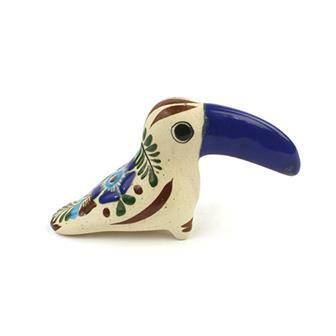 A wonderful collection of creative ceramics from our Peruvian and Mexican suppliers. We stock a great deal of traditional Mexican pieces including Aztec calendars and hand painted tiles. 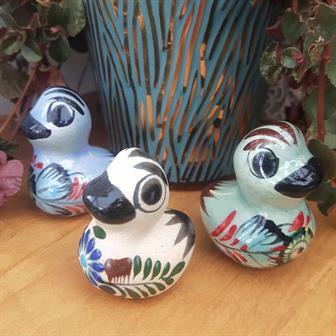 Also we present a huge pottery menagerie made in the Ayacucho region of Peru; from toucans to tigers, penguins to pandas! 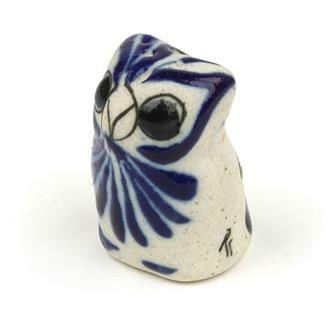 These beautiful little owls come unglazed and decorated with detailed flower motifs. 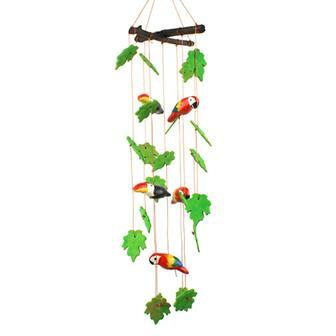 Each one has been handcrafted in Jalisco, Mexico. 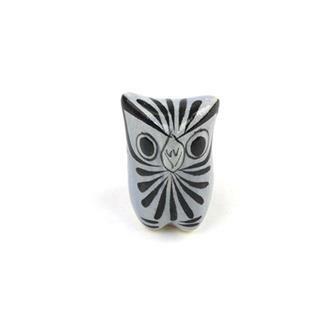 These beautiful little owls come glazed and decorated with detailed flower motifs. Each one has been hand crafted in Jalisco, Mexico. 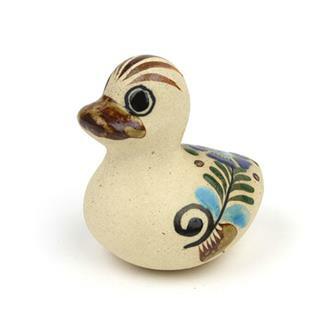 These beautiful little ducks come unglazed and decorated with detailed flower motifs. Each one has been hand crafted in Jalisco, Mexico. 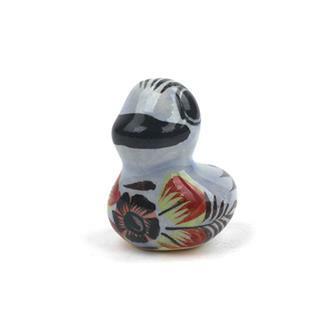 These beautiful little ducks come glazed and decorated with detailed flower motifs. Each one has been hand crafted in Jalisco, Mexico. 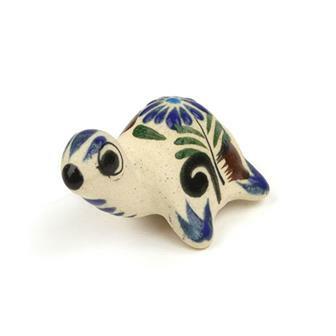 These beautiful little turtles come unglazed and decorated with detailed flower motifs. Each one has been hand crafted in Jalisco, Mexico. 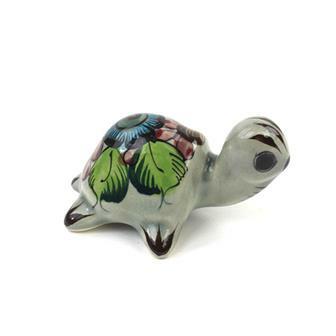 These beautiful little turtles come glazed and decorated with detailed flower motifs. Each one has been hand crafted in Jalisco, Mexico. 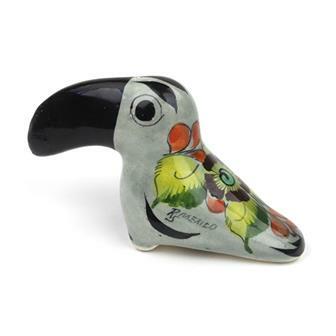 These beautiful little toucans come unglazed and decorated with detailed flower motifs. Each one has been hand crafted in Jalisco, Mexico. 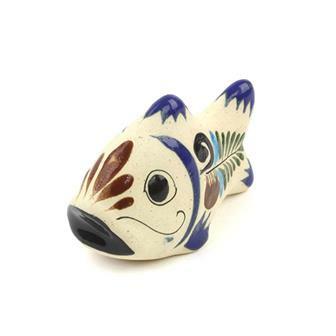 These beautiful little fish come unglazed and decorated with detailed flower motifs. Each one has been hand crafted in Jalisco, Mexico. 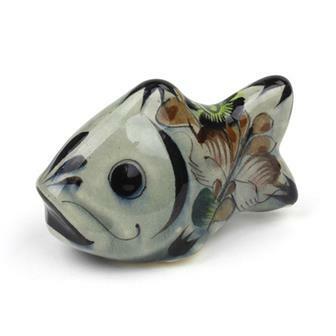 These beautiful little fish come glazed and decorated with detailed flower motifs. Each one has been hand crafted in Jalisco, Mexico. 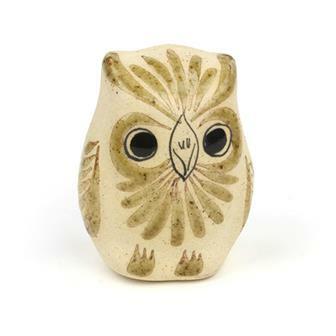 These pretty little owls come unglazed and decorated with detailed flower motifs. Each one has been hand crafted in Jalisco, Mexico. 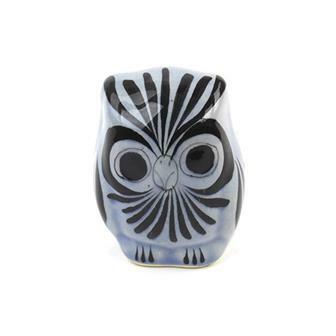 These pretty little owls come glazed and decorated with detailed flower motifs. Each one has been hand crafted in Jalisco, Mexico. 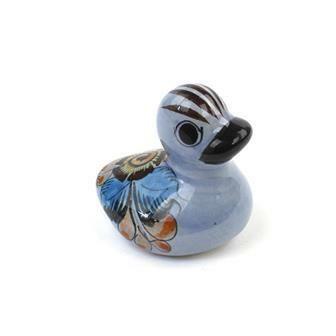 These pretty little ducks come unglazed and decorated with detailed flower motifs. Each one has been hand crafted in Jalisco, Mexico. 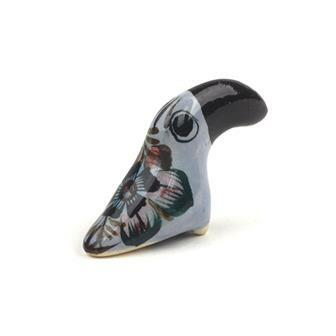 These pretty little ducks come glazed and decorated with detailed flower motifs. Each one has been hand crafted in Jalisco, Mexico. 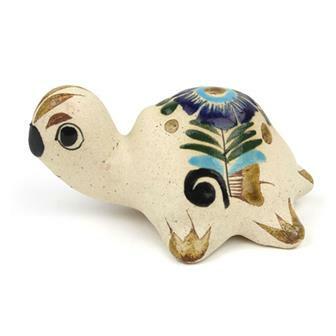 These pretty little turtles come unglazed and decorated with detailed flower motifs. Each one has been hand crafted in Jalisco, Mexico. 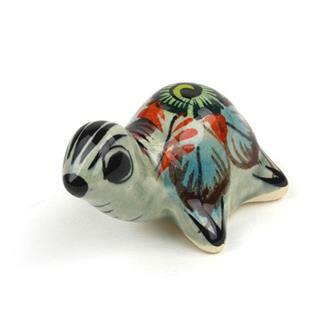 These pretty little turtles come glazed and decorated with detailed flower motifs. Each one has been hand crafted in Jalisco, Mexico. 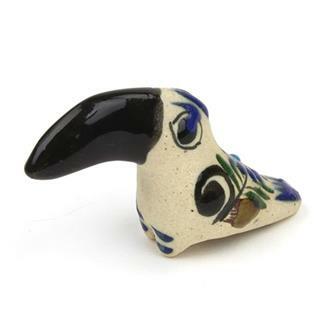 These pretty little toucans come unglazed and decorated with detailed flower motifs. Each one has been hand crafted in Jalisco, Mexico. 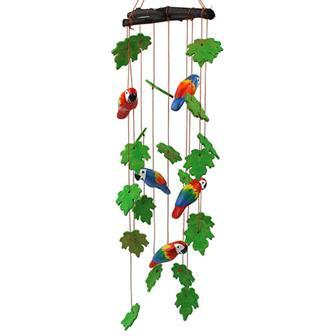 These pretty little toucans come glazed and decorated with detailed flower motifs. Each one has been hand crafted in Jalisco, Mexico.